I'm almost sixteen and my parents and I have been out researching and testing cars. None of them compare to the Jeep Wranglers. Honestly, it's the excitement of the ride and the convertible feeling. I live in a redneck kind of place although I'm definitely one of the preppier-cheerleader type girls. I love the open top and the half-doors. It's a country convertible pretty much. Seriously, no first time buyer wants an expensive convertible. They're just too much. No first time buyer wants to damage that. A Jeep is an affordable version with the farm edge of rural living. Also, girls in open-top cars want to be noticed. Convertibles are stuck up. Jeeps say "I'm adventurous". I love the feeling when I'm in a Jeep Wrangler. It has style. It commands. Plus, it has a lot of safety features compared to the earlier days of the Jeep. Girls, you just have to test one out first to see if you like it. Because it DOES roll over easy! You just have to learn the limits. Girls should look into it. Definitely. Larry's Comment: Lauryn...have you thought about becoming a Jeep salesperson? Thanks for your perspective from a girl's point of view. Yes, that's the right way of looking at it. Jeeps are lifestyle, good reliable vehicles for on and off the road ---- and they do not roll easy, believe it. 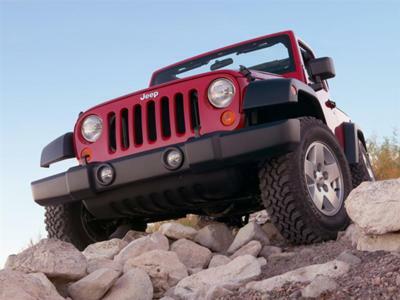 Start gaining experience in driving a used TJ and you will see, you´ll love it. Have fun and stay on the tracks.